In the digital age, everyone loves taking photos and selfies with their friends and family. It brings everyone together and makes sure that people have a smile on their face! So, why not bring the fun of a photo booth to your next big event or special occasion? Guests will love to take photos with their loved ones and have a great time. Now with the Indoor Photo Booth from Taxi Snaps, you can make sure your next event is a big hit with your guests! Whether you are planning your wedding reception or a night for a corporate event, make sure that a fun Indoor Photo Booth is part of your plans! This will bring the entertainment to any venue with endless hours of laughter and smiles for all ages and you don’t have to do a thing. All your guests have to do is round up their friends and step into the Indoor Photo Booth. They will be able to take one, double or triple prints while they are inside and can choose the best photos that they want to keep. Plus, you can choose picture layout designs and colour and black and white options; there is so much fun you can have! Our team on the day of your event will also provide you with an amazing box of props, which can add even more fun to the day or night. You can dig into the box and find colourful and hilarious hats, glasses and masks to jazz up your outfit. This is sure to brighten up your photos and make everyone laugh. The Indoor Photo Booth is easy to use and it only takes the press of a button and a few poses to create some great memories. All of the photos are hi-resolution images, which means that guests will love to take them home. When you choose the Indoor Photo Booth from Taxi Snaps, you can enjoy a night of photo taking with no restrictions. Your guests can not only have unlimited visits to the Indoor Photo Booth, but they can also print as many photos as they want! This means that guests will have fun on the night and be able to look back at the event for years to come with their photo memento they can take home. What’s more, after the event you can enjoy having a private web gallery, which features all of the photos from the night. All of your friends, family or colleagues can view it too and remember the night for years to come. Of course, you can enjoy unlimited and free downloads of the photos you want to keep on your computer. At Taxi Snaps, we make sure that every Indoor Photo Booth is suited to our customers. We are willing to accommodate you as much as we can and make sure that your event or occasion is extra special. 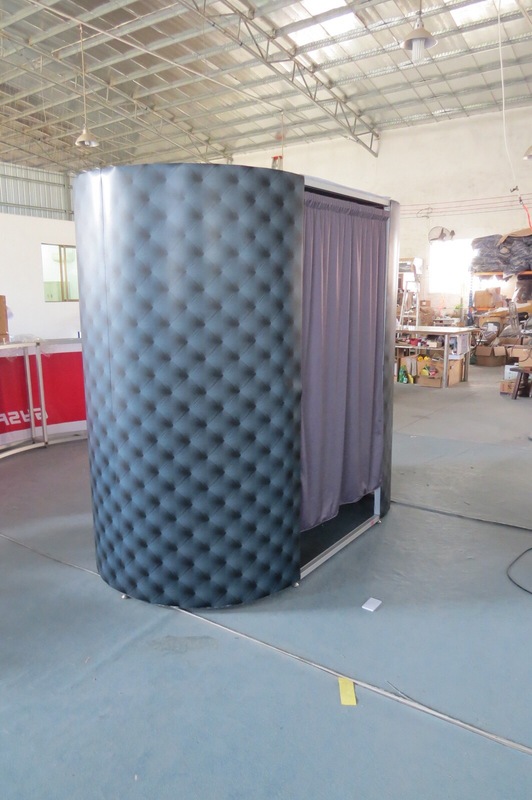 This means that we also give you the opportunity to customise your Indoor Photo Booth. This is perfect for special occasions, such as birthdays and weddings, as well as branding and corporate events. 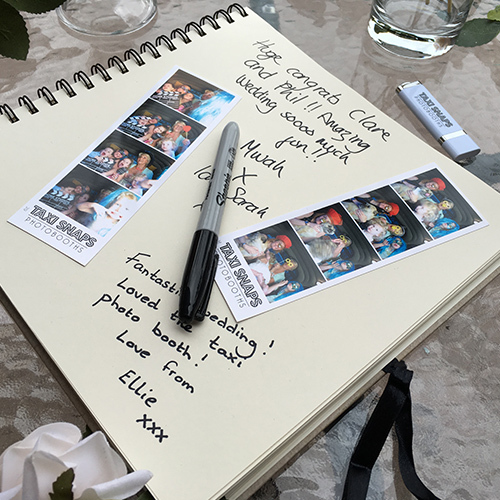 You can choose to put a personalised message or logo to feature on your prints so guests can see it when their photos are printed. You can also choose a vinyl wrap for your Indoor Photo Booth, which you can personalise with whatever design you want for the occasion. This is how you take your entertainment to the next level! At Taxi Snaps, we know how hard it can be getting all prepared for your big day or special event. That is why we make sure your experience with the Indoor Photo Booth is easy and simple from the start to the end. We will make sure that the Indoor Photo Booth is with you in plenty time for your event by delivering it to your venue. In addition, we will set everything up so the Indoor Photo Booth is ready to use straight away at your venue in the Midlands. We will even make sure you have a friendly and attentive Indoor Photo Booth attendant at your event to make sure everyone knows how to work it properly and can have fun. What’s more, after your event is over, we will take down the Indoor Photo Booth and pack it all away so you don’t have to. Doesn’t that sound great?